This equipment is used for the tests of the basic parameters of electrical safety in the end of lines of producing plants of household-electric, electronic equipment, lights, machines tools, etc of high volume. In making any electrical product and especially when we are talking about appliances and fixtures, there is a responsibility of the manufacturer to ensure the electrical safety of their products. To this end the international standards used in our country, such as IEC 60335-1 and similar electrical appliances, General Requirements, Safety and IEC 60598-1 Luminaires, general requirements and tests, set to produce the same trials minimum that should be made to ensure this security. Earth continuity test (PAT) with a current of not less than 10 A and a load voltage not exceeding 12 Vdc or Vac, for those equipment Class I (Class II and III are excluded). Dielectric strength test, submit to teams based on their insulation to a test voltage of 1000 VAC and 2500 VAC, with a current limit of 5 mA to 30 mA in some cases. Operational test at the rated voltage of the equipment is tested for proper operation. These tests performed on a production line, requiring the manufacturer of the equipment necessary to guarantee its realization and registration. This makes this process can become a bottleneck in the line. To this end, not only in order to ensure these trials, but also to ensure the registration of the same and the whole process control, Electrical Safety has developed several test equipment for line endings: EBE 2, EBE 4 and EFE, in which can be configured to perform tests, test times, the dimensions of acceptance. It is designed and manufactured for the purpose of determining compliance with various standards (IEC 60335, IEC 60950, IEC 60065, IEC 60745, IEC 60598, IEC 61029, IEC 60601, IRAM 2092 IRAM 4029, IRAM 4220) regarding the Basic requirements for electrical safety parameters recommended by various global Certification UL, DNV, IMQ, BVSQ, ITS, IRAM, CSA, VDE, DIN, INMETRO, etc. The system control and data acquisition is based on a generation microprocessor mounted on a plate owns selection, filtering, signal processing and measurement. This plate is linked with internal PC, which runs a software responsible for the administration and control of the entire system. A keyboard and mouse allow total control functions as well as its programming team. A visual and audible signal lets you monitor equipment performance as well as the warning of a nonconforming test. The monitor system has 17 "LCD to view and control the entire system. 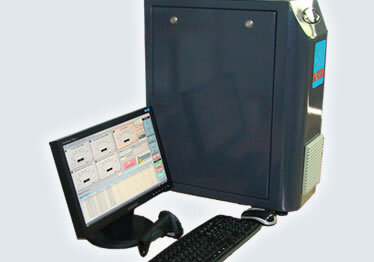 The equipment EBE 2 (Basic Test Equipment) is a system of acquisition, processing, control and management of data, to store all the results in a database and then generate production reports daily / monthly / annual statistical graphs, thus obtaining all the necessary information and trends for managing production control system. 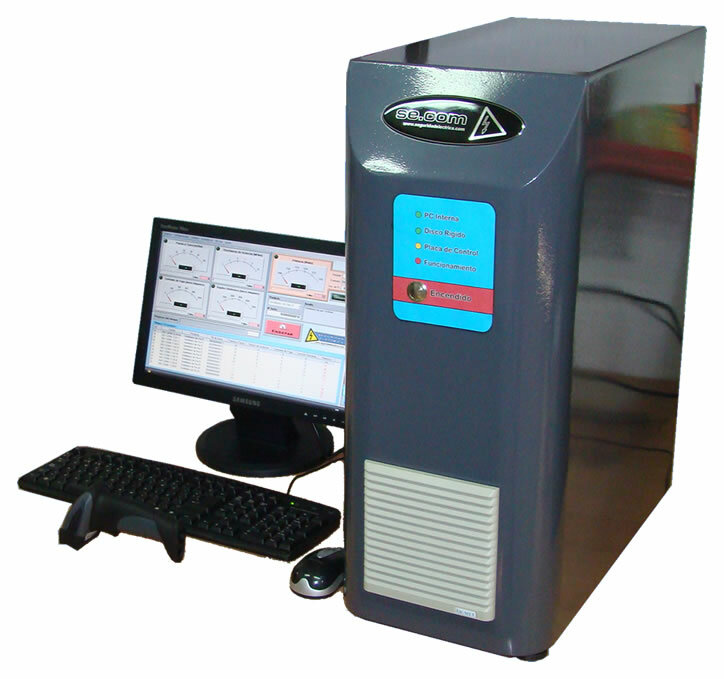 It also allows to generate label printing (printer not provided) Product identificatory and results of tests. Both the team and the platform were designed for easy handling and dynamic. The system has a friendly interface for calibration of equipment, such calibrations are recorded in the system by allowing, in this way, bring the traceability of calibrations carried the team. 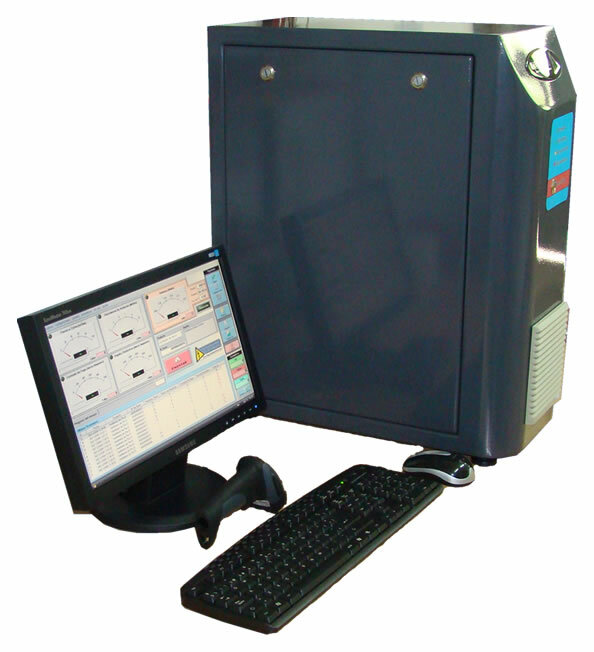 The EBE 2 (Basic Test Equipment) meets the needs of traceability required tests and calibrations performed in any certification system. This combination ensures proper handling of information to meet requirements which may require Electrical Product Certification or ISO 9001. Optionally it provides a Daily Verification Equipment (EVD 2), which allows you to control the correct operation of the equipment. The EBE 2 (Basic Test Equipment) is delivered with its Calibration Report drawn to national standards, a manual for use of equipment and a manual system (software for acquisition, processing, management and control). It also has an online help with any questions of use of the system or equipment. The components used in the design ensure excellent quality of work. Power Supply: 220Vca, 50 Hz, 8 A, Single-phase. Monitor: Monitor de 17" LCD. Control: Totally control by microcontroller. To Test: In order to test equipment Class I of up to To 6A and 220Vca (greater consumption to order). Save the data from each test. It generates Listing of tests. It generates statistical Analyses with bar chart. All the reports can Be exported to archives .PDF (to send them by mail). All the reports can Be exported to archives .CSV (to work them in any list of calculations). It allows To calibrate the equipment in plant. It allows To fit the equipment in plant. It makes backup daily of the data. 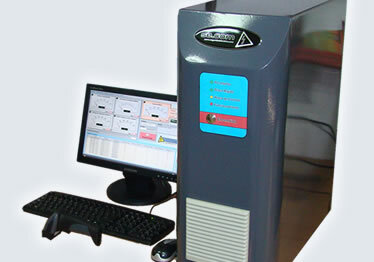 It allows to take the Trazabilidad of all the made Calibrations . It allows to take the Trazabilidad of all made Ajustes . Thermal printer of labels (Optional). Reader of bar code (Optional). Single authorized personnel can have access to the adjustment of the equipment, through user and password. Adjustments made to the equipment. Setting of Time of each test. Setting of Minimum and Maximum limits of each test. Setting of Test to make.